The Opulent Opossum: Merry Christmas! Merry Christmas! 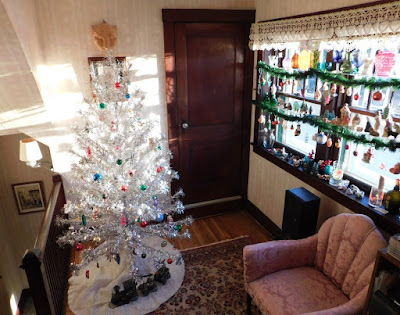 Here are a few pictures of our "front hall," including the aluminum Christmas tree and the ornaments I hang in the front window. They always look so nice when the sun shines in! Best wishes you for a joyful and blessed holiday! Love your wi Dow decorations. I would hate to take those down, so very pretty on these dark days. Honestly, I think the window decorations are my favorite. It was my idea to attach the green garland along the glass shelves and hang ornaments off it. 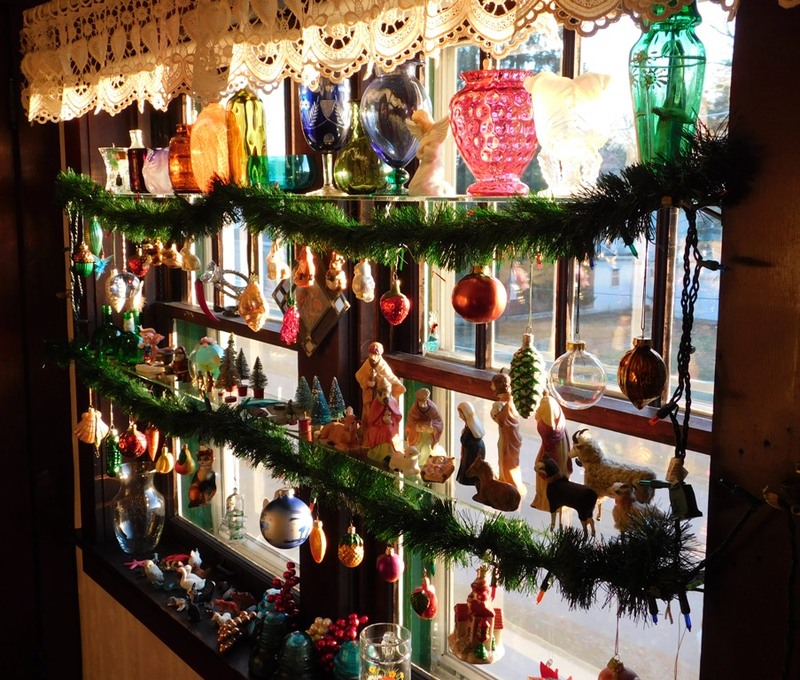 When we inherited Grandma's "tree," it came with all the ornaments it needed--so where do we go with *our* pretties? The window display!